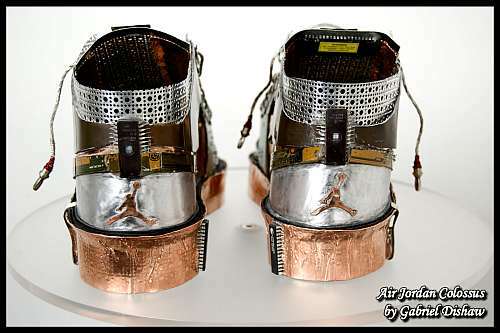 junk yard shoe series that has been inspired from the “Air Jordan 17+” which is, I feel better and improved from his old version of shoes of this series as this one has been modified by added features like the midsole made up of copper to make it more durable. 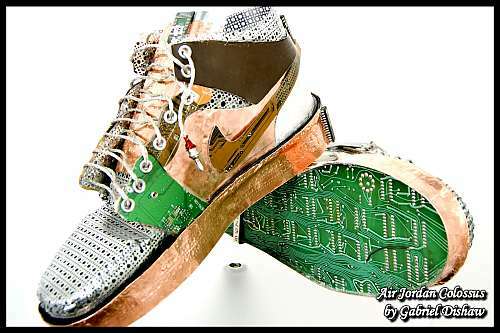 The upper part of the shoes are made up of hard drive from the 70’s and the sole had been made from motherboards which will not only make your sole durable but also will help you to transfer data. 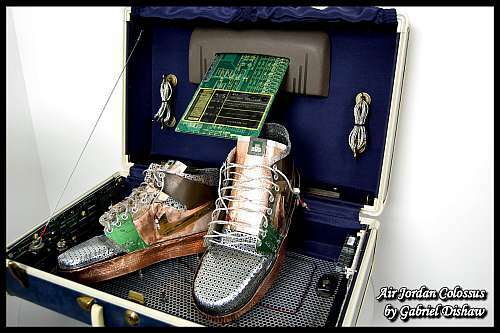 Its dimensions are 21.5” W x 8” H x 13” Depth with shoe size of 9.5 (Men’s). 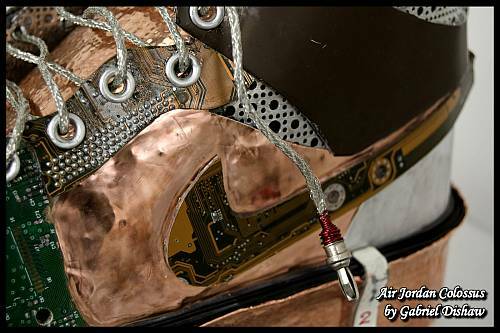 This time Gabriel has also provided with an extra pair of steal braided shoe laces. 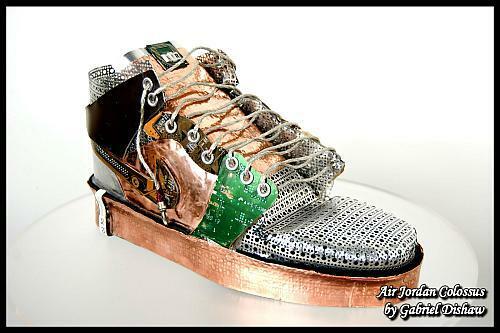 This is one shoe that no one can resist owning because of its killer appearance, giving him the sweet fruit of his hard work and imagination. 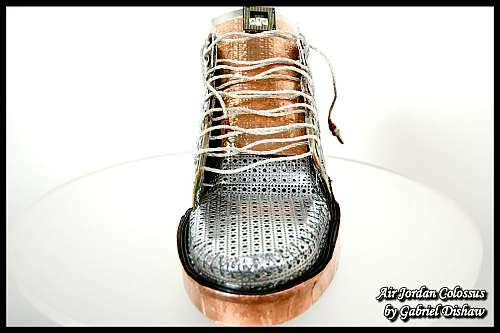 This is one show piece which will fulfill your room’s aesthetic needs by giving your room an unique, sporty and a cool look (its ok if you are not a sport enthusiast) but don’t try to plug it up with wires and turn on the switch and its only for show, so don’t try to wear this 15 pound metallic shoe otherwise you the result but you can have it to trim yourself. This also comes with a Premium Luggage unit which is perfectly designed for a basketball player and has been made in such a way that the shoes to be secured while transportation. 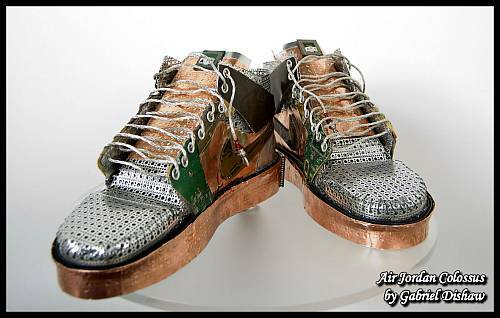 You can see some more such creations like Astroids Centipede shoes and The Gaming Shoes.